Riad Tzarra Client Comments, Reviews and Testimonials. 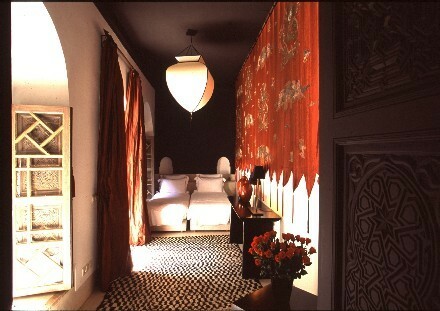 Book Riad Tzarra Today with Hip Morocco - Holiday Accommodation in Marrakech, Morocco. "Lovingly restored and exquisitely decorated"
Peaceful, beautiful, refined. 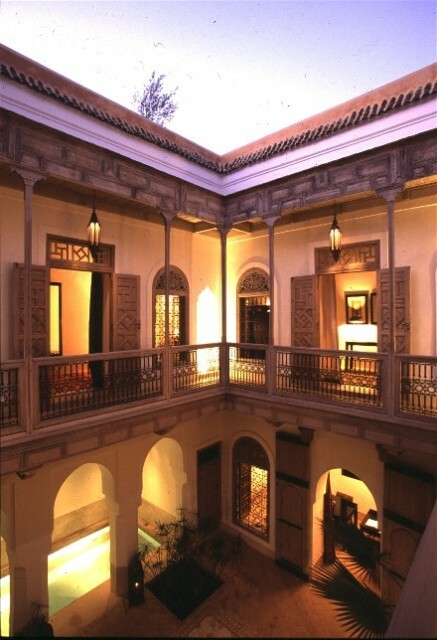 Riad Tzarra is an elegant house in one of the oldest neighbourhoods of Marrakech. 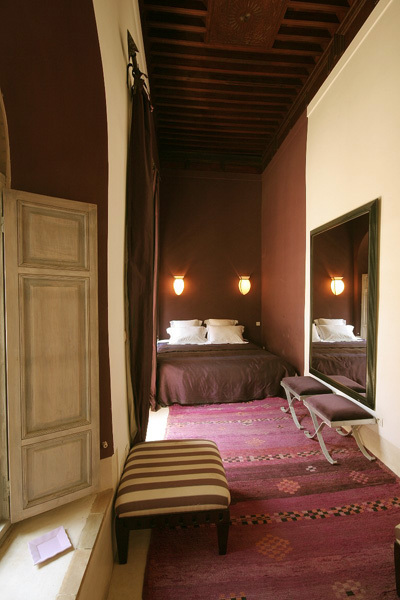 Lovingly restored and exquisitely decorated, Riad Tzarra offers guests a comfortable and serene home in the centre of the Medina, close to the Musee de Marrakech and the Medersa Ben Youssef and only minutes from the entrance to the Souks and the Place Jemaa el Fna. 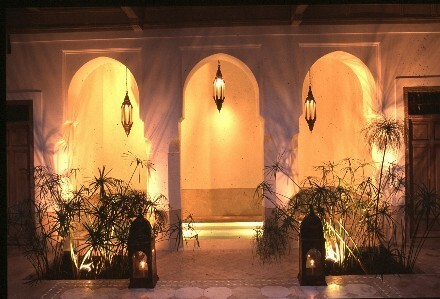 The welcoming patio has a heated plunge pool under graceful arched pillars and a traditional hammam. The enchanting open seating alcove is the perfect spot for breakfast, afternoon tea or aperitifs and there is a dining room with fireplace for intimate dinners. The patio is surrounded by original bleached cedar wood panelling and is galleried on four sides. 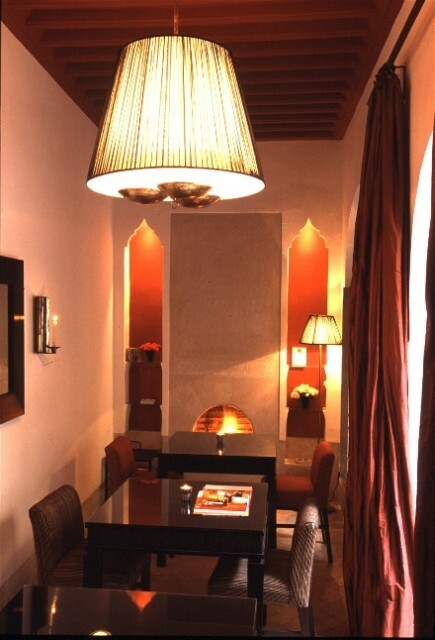 On the first floor, there is a large elegant salon with a cosy fireplace for winter nights. The salon is air conditioned and fully equipped with satellite TV, DVD player, music centre and library. 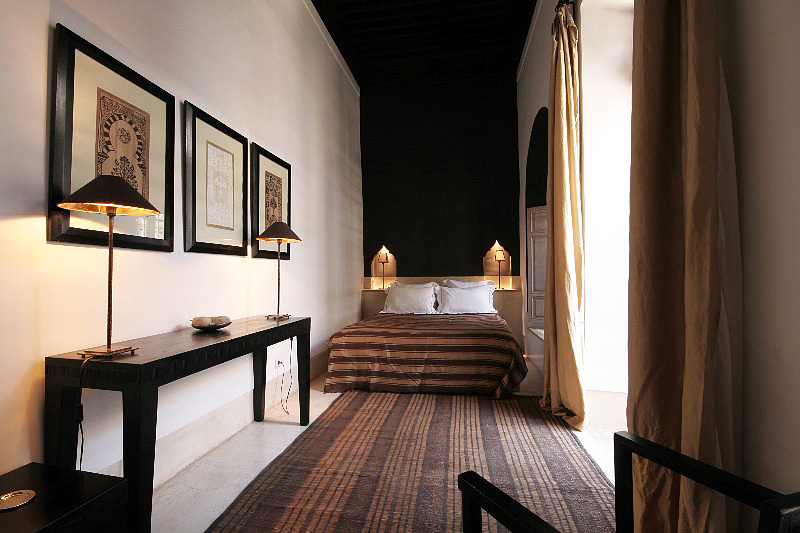 Riad Tzarra has four stylishly decorated and air conditioned bedrooms all with ensuite bathrooms. 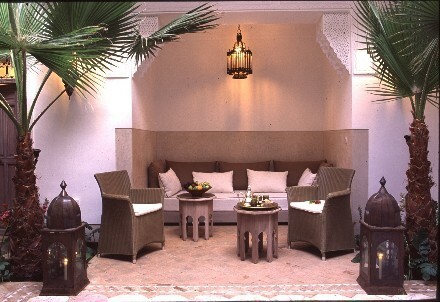 On the splendid terrace, there are tables and chairs, sun loungers and a shady pergola with comfortable sofas for relaxing and enjoying the wonderful views of the Medina and the Atlas mountains. The charming and attentive staff will ensure that guests at Riad Tzarra are truly pampered while our English speaking manager is on hand to make sure they enjoy a memorable stay in Marrakech. 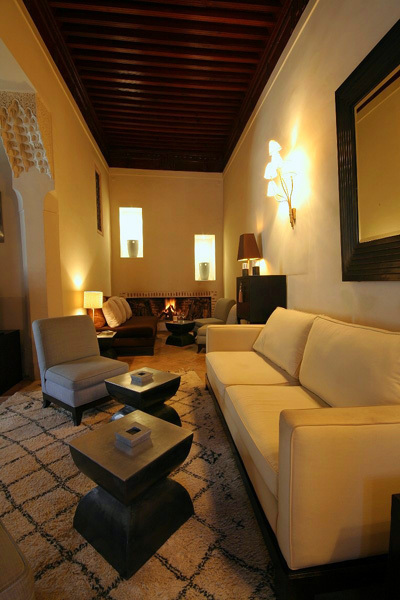 Located in the centre of the Medina, close to the Musee de Marrakech and the Medersa Ben Youssef and only minutes from the entrance to the Souks and the Place Jemaa el Fna. A beautiful double bedroom on the first floor, richly decorated in shades of purple. The en-suite shower room with WC and basin is finished in graphite grey coloured tadelakt. The bedroom is air conditioned with an electric radiator in the shower room, a hair dryer, complimentary toiletries and a safe for personal use. 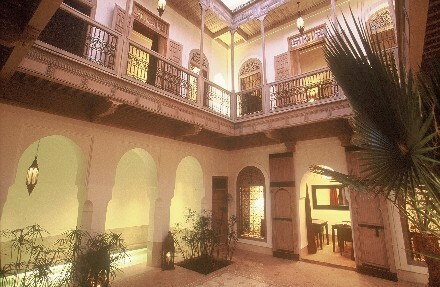 A spacious double bedroom on the ground floor of the riad with direct access onto the patio. The 180cm wide bed can be separated into twin beds if required. The en-suite shower room with WC and basin is in traditional tadelakt finish. 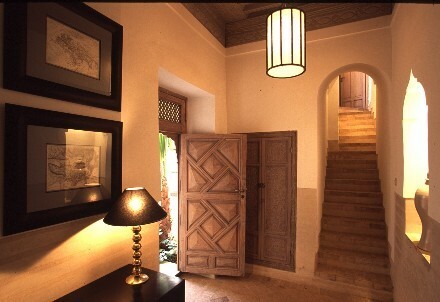 The room has plenty of storage space and is beautifully decorated in oriental style. The bedroom is air conditioned with an electric radiator in the shower room, a hair dryer, complimentary toiletries and a safe for personal use. 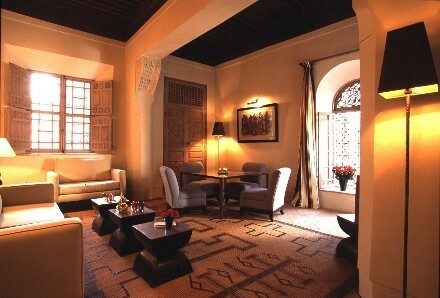 A charming double bedroom with African theme decor on the first floor of the riad. The 180cm wide bed can be separated into twin beds if required. The en-suite shower room is in traditional rose coloured tadelakt finish. The bedroom is air conditioned with an electric radiator in the shower room, a hair dryer, complimentary toiletries and a safe for personal use. 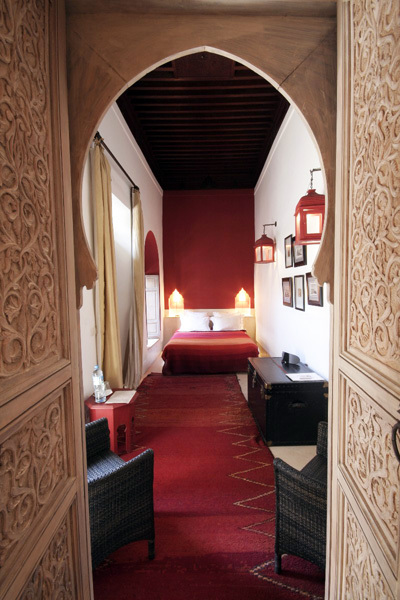 A splendid double bedroom decorated in deepest red with oriental touches. 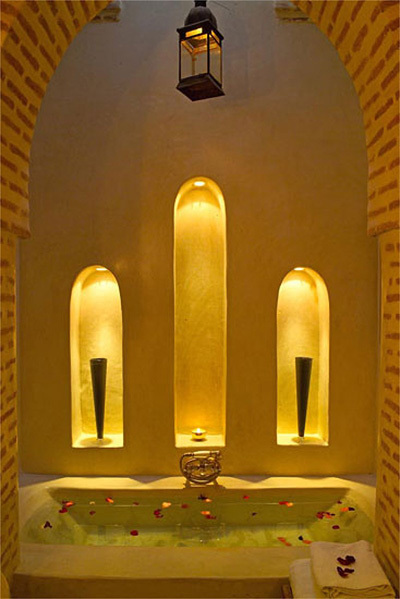 The spacious en-suite bathroom features a domed ceiling and large tadelakt bath tub. The 180cm wide bed can be separated into twin beds if required. The bedroom is air conditioned with an electric radiator in the bathroom, a hair dryer, complimentary toiletries and a safe for personal use. 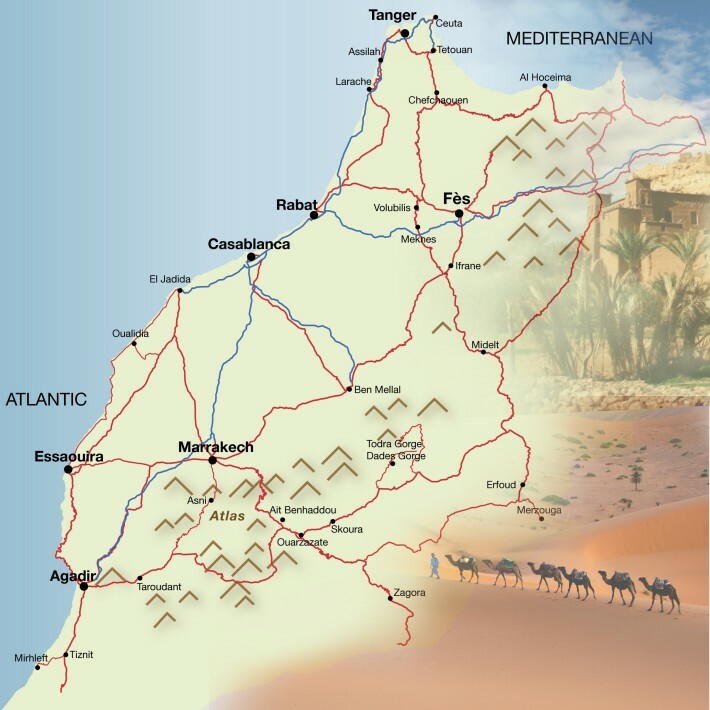 The base rate price at Riad Tzarra is in pounds, euros, or Moroccan dirhams and exchange rates are approximate.